I was watching Indian Idol and working on my essays parallely, when I got these ideas. 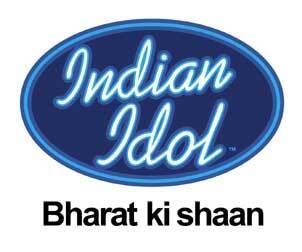 For people who do not know, Indian Idol is the Indian version of the popular American Idol. There is tremendous competition and the participants are from all parts of India, urban and rural areas, in addition to the international participants, mainly from Europe. The judges are curt, sarcastic and encouraging. I just took the judges as the admissions committee of a B-school and the participants as MBA hopefuls, the applicants, the prospectives, us, me. The situation, maybe not entirely, but very similar to mine and, of course, there are lessons to learn from any form of competition. If you try to observe what is common among all shortlisted participants, you will notice that everybody is talented. But more importantly, all are highly motivated and determined individulas. It is not enough to be talented, it is all the more important to come forward and make yourself noticed. Indian Idol is a good platform that they used. Now when they have entered the competition, everybody is determined to practice and distinguish themselves and move forward. If you realize that you are an MBA material, rather a top-10 material, all you need is determination and focus. What you need is directly told to you by the adcom: a decent GMAT score, a progressive track record, a leadership experience, team skills and all these included in good essays. So it is pretty straightforward: identify your potential and work hard on your essays. There is nothing stopping anyone from getting into a top 10 MBA program provided you work hard and give it your best shot. Participants come from varied backgrounds. Some have to support their family, many do not have proper training. in fact, there are some people who are from areas where they don't even have proper supply of electricity, let alone training.But they have that much required spark, they are self-motivated, they have realized their talent. And that is what is required to follow your passion. If you are determined to get into a top MBA program, just don't lose that spark. If you are following the advices of MBA students, you must have heard a lot of times that many companies look for "spikes" in your resume. Those spikes are the areas in which you excel, and to succeed in something you need passion. There are no excuses to follow your passion. If there are excuses, you were not passionate at the first place. You must have noticed that there are awful singers sometimes. They don't realize that they cannot sing and make a fool of themselves on TV. Judges are also very light in those case. They mock them and people think they are rude. But I think that they feel that when these guys themselves are making a fool of themselves, they need to realize that they cannot sing. These people should not get false hopes. Before taking a big step, you need to realize what you can do, and then take the plunge. In a similar way, if you are preparing your B-school application, focus on your true potential and highlight that. Don't gt disheartened by a bad GMAT score. GMAT score is not everything. And everyone has something special in himself/herself. It is just a matter of identifying your spark. I know it is difficult, introspection is an uphill task, but dude, there is immense competition out there. And everyone is trying very hard. at least keep pace. "That guy from my college just got an admit from Wharton. He was very active in community service activities. I should write the same and that will fill the gap." This is a common thought, at least I used to think that way when I started researching on this process a couple of years ago. For a common man, a novice singer, some people are good singers. But they get rejected by the judges. The judges are trained ears. They are highly experienced who know when you get out of tone. Similarly, the adcom is highly experienced and they can catch the fake the second you start talking about something that you have written just for the sake of it. You got to realize that everyone is unique and there is no formula that can get you through. Even if such a formula does exist, it'll be to represent yourself the way you are. Just look deep inside yourself and you'll see a star. The difference between an admit and a reject is just that, the ability to look inside oneself and thus differentiate from the crowd. I visited the MBA Tour in Hyderabad, India on Wednesday. It started at 4:30 pm but I could only reach by 7:30 pm, as I was stuck in an office meetings. I missed most of the Alumni Panel Discussions, but the fair just started at 7:30 pm. Anyway, I won't say I benefited a lot from the fair in terms of knowing about schools. The schools I am applying to did not participate. I had not heard the names of many schools even. But nevertheless, I thought of visiting the stalls. The popular names visiting were Stern, Cornell, Duke, Georgetown in the US, and then there were others like RSM Erasmus, Queens Canada, HEC Paris, SDA Bocconi among the internationals. Not many alumni members participated but the ones that did were quite impressive. I was particularly impressed by the Rotterdam School's (RSM) alum. He was a quite senior person in the business development of Satyam. First, his was quite an impressive personality, and the person was talking sense and not BS which can be found on any B-school's website. Second, he believed in what he was saying and thus sounded quite confident. He had a very strong pitch for RSM sounded committed for the school. Others worth talking to were Cornell and Stern's representatives. I did came to know quite a bit about the school after talking to them. The one thing that is worth taking from MBA Tours is getting a feel of the school by talking to its alums and admissions staff. For international applicants who cannot visit the school personally must make sure that they visit these fairs and get the feel of the schools they are planning to apply to. If you are sure where you are applying and are also sure of the fit to the school, these events are a way to show your love to the school. If you have applied, you can talk to the admission staff and talk about your application. If you are yet to apply, you can use this opportunity to resolve any queries that you have about the school. This will certainly help in answering the "Why this school" question. Applicant: "I am an IT Applicant"
School Staff: smiling. "I guess everybody here works in IT"
A: What is the average GMAT in your school for people from IT background? SS: I guess all engineers want some formula to calculate their chances of admission based on your background, GMAT, etc. But believe me there is none. And then the general advice follows. Anyway, overall it was a good experience for me. But I still wish my dream schools should have participated.